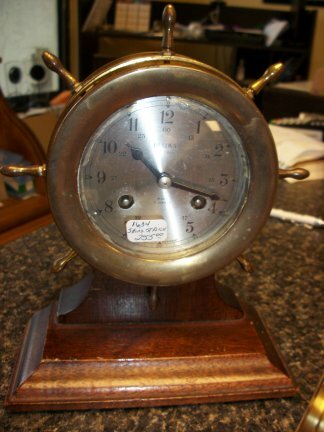 This is a German made ships bell clock. 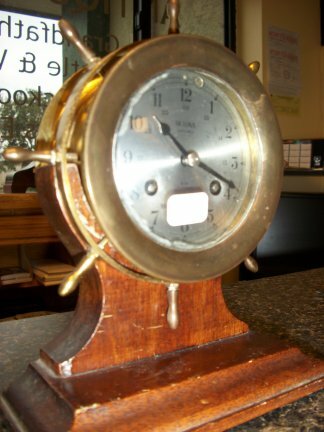 The case is solid brass and is in the ships wheel design. Close up of the face. 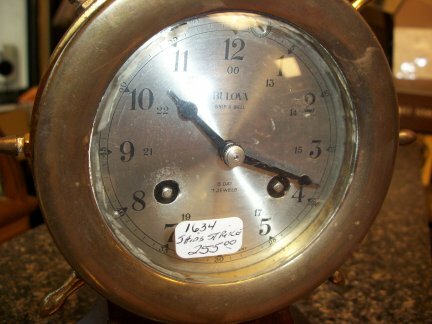 The bezel screws off to get to the face to wind the clock. 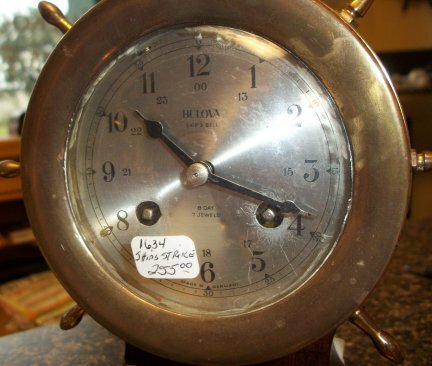 It has an 8 day time and ships bell strike movement. The movement has 7 jewels in the platform escapement.